August 2017 - These are the latest editions of Violeta Babic's successful titles, A book for Every Girl and A Book for Every Boy: Latvian (Zvaigzne ABC), Bulgarian (Hermes Publishing), Albanian and new Macedonian edition (Toper). August 2016 - A Book for girls and their boyfriends has received its fifth edition in a foreign language. So far, the book has been published in Slovenia, Macedonia, Croatia and Vietnam. The latest edition is in Spanish, published by Kreativni centar's long term publishing partner, Panamericana from Colombia. April 2016 - Our series Learn & Try gorws in the international market. We have just received samples of Turkish edition of two titles from the series, Botany and Astronomy, published by Tubitak. 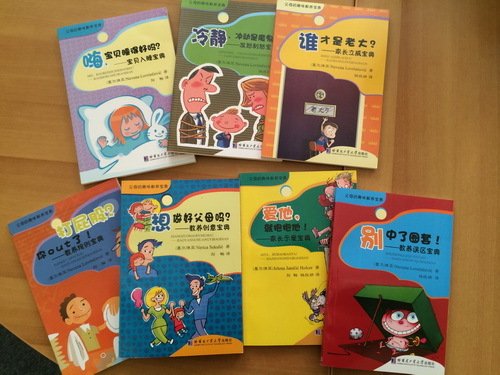 January 2016 - Titles for parents have just had their fresh release in the Chinese language, the courtesy of Harbin Institute of Technology Press, China and Rightol Agency, Chengdou. November 2015 - The Chinese edition of A Book for Every Girl and A Book for Every Boy, published by Daylight Publishing House, China. October 2015 - We are proud to announce that a book Secret Life of stories, written by Dejan Aleksić was selected for the White Ravens catalogue for 2015. September 2015 - Chinese edition of our popular science edition for school children "55 experiments from nature" was recently published by Shanghai Scientific & Technological Education Publishing House, China. 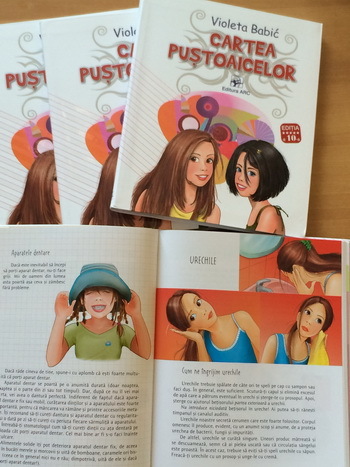 July 2015 - The latest release of A book for Every Girl is in Romanian language, published by Editura Arc from Moldova. This is the 17th language this book has been translated into since 2009. June 2015 - Croatian publishing house Element has just published a series of Preschool Activity Books. 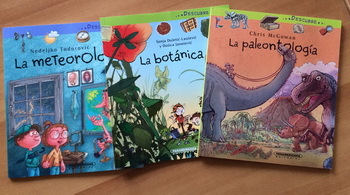 May 2015 - Colombian publishing house Panamericana continues to publish books from Learn and Try series: Meteorlogy, Botany and Palaeontology. January 2015 - Colombian publishing house Panamericana has just published the first book from the series Learn and Try How to Make A Film in Spanish language and reprinted for the 5th time A Book for Every Girl. 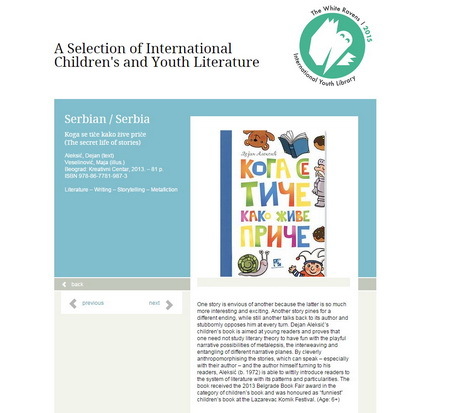 October 2014 - Preschool Playground and A Book for Girls and their Boyfriends was published this October by a Macedonian Publisher Prosvetno delo. 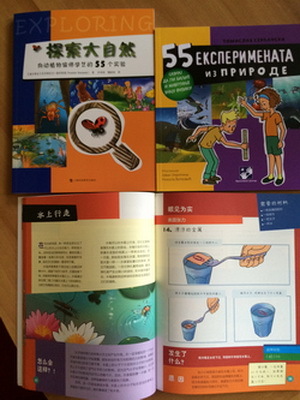 July 2014 - A Chinese publisher, People's Oriental Publishing & Media, has recently published a series of 3 titles, Simple Science Experiments in simplified Chinese. A Book for every Girl has welcomed its 15th foreign edition - a Bahreini edition published by Al Waraqoon in English and Arabic languages. 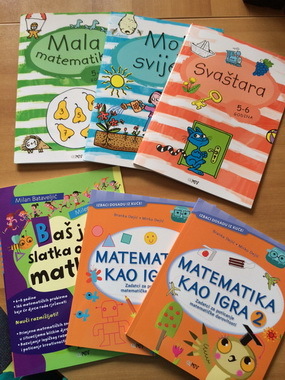 June 2014 - The month of June came with two new foreign publications of Kreativni centar's titles - Swedish edition of the novel The worst day of my life (Förlaget Mina) and Portuguese editions of the Learn and try series and the title School (ECM). 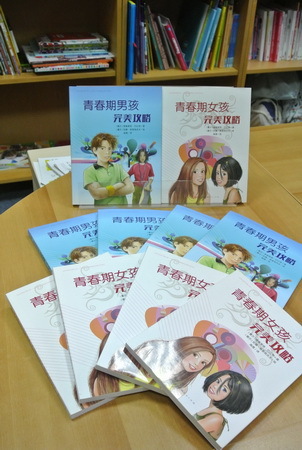 May 2014 - Preschool activity books were published in Simplified Chinese by Memory house, China. Altogether 6 titles in this series was launched in March 2014: My World, Little Mathematics, A Book of all sorts of things, Little School, Scribble Book and Drawing Book. October 2013 - The German edition of the title The worst day of my life, written by Jasminka Petrović and illustrated by Dobrosav Bob Živković was launched during the Frankfurt Book Fair. September 2013 - A Book for Every Girl has reached its 4th reprint in Colombia and Russia. March 2013 - We are happy to inform you that I have an Idea!, Think and Tell and Solve and smile have just been published in China.